Join us for a guided tour of the Mansion and Carriage House of the 1806 country estate of Christopher and Rebecca Gore. Christopher Gore served as the first United State attorney for Massachusetts as well as governor, and a Massachusetts senator. The mansion was built in 1806 as a summer home for Massachusetts lawyer and politician Christopher Gore. 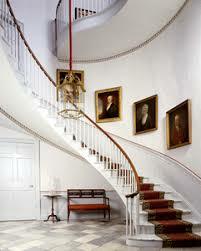 In this house the Gores entertained various notables including the Daniel Webster, and James Monroe. The property was designated a National Historic Landmark in 1970 in recognition of its architectural significance as a large-scale Federal style country house, and for its well-preserved domestic staff quarters, which illustrate the changing role of domestic labor over time.